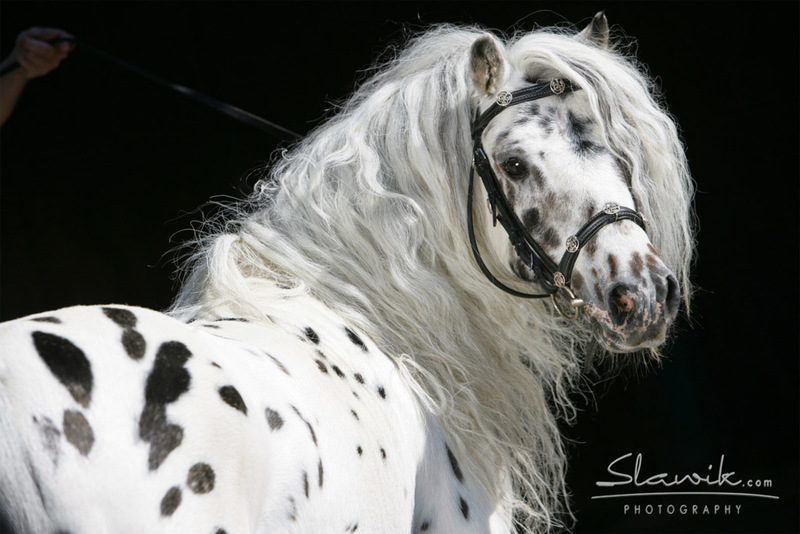 TSB author Sabine Ellinger's world-famous Mini stallion Lancelot. But the truly marvelous thing about “Minis” is that they aren’t merely crowd-pleasing pasture buddies, or “playthings” with the grandkids are in town, they’re natural performers, fantastic driving partners, and ideal therapy animals (they have the same “indoor” rights as dogs in many places). There’s really no end to the tricks you can train them, the agility courses they can master, and the fun you can have with them, in an area as small as your backyard. Ellen DeGeneres and Portia de Rossi Adopt Miniature Horses…and Learn All About the Mini Sense of Humor! If you haven’t heard, Ellen DeGeneres and Portia de Rossi adopted two Miniature Horses a few weeks ago. Lucky them! I had two Minis as part of my horse herd when I was a teenager, and they never ceased keeping us laughing with their antics. One, “Tom Thumb,” mastered the art of “rubbing out” a rail of split rail fence. I can’t tell you how many times I found myself tromping through the woods on the trail of the four or five horses he’d loosed onto our unsuspecting neighbors’ land. Minis can be such a fun addition to your barn, and at TSB we want to help more people enjoy these pint-size packages of horsey goodness. The new book MINI SCHOOL gives great step-by-step advice for training Minis, whether for competition or just for fun, and MINIATURE HORSES is the veterinary guide every Mini owner or breeder needs on-hand, both for regular care and emergencies.